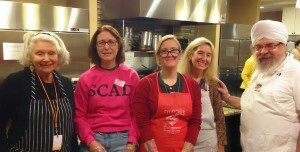 Sikh Dharma Ministers serve in a variety of ways. Ministers hold positions on the Siri Singh Sahib Corporation board, the Sikh Dharma International board and non-profit boards, and serve on the International and European Khalsa Councils (leadership bodies of Sikh Dharma International). They work tirelessly around the world as healers, teachers, counselors, and business professionals—spreading Dharmic teachings, providing chaplaincy and interfaith services and participating as leaders in service and gurdwara activities. The concept of a Sikh ministry was first started by the Third Guru, Guru Amar Das ji, in the mid-1500s. He created 22 Sikh centers all over India, corresponding to the 22 states of the Mughal Empire. These centers were called Manjis because the teacher would sit on a platform or cot (a manji) and spread the Word of the Guru to all who came to listen. Guru Amar Das was a progressive and enlightened leader who included women missionaries at a time when women were severely oppressed in India. The Guru dispatched 146 missionaries to the Manjis, including 52 women. Bhai Gurdas Ji, one of the most inspired and enduring teachers of all time, was also included in this first group of missionaries. 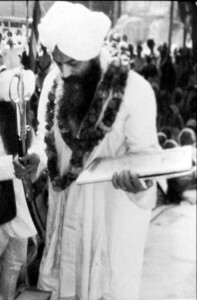 In 1971, in acknowledgement of his extraordinary impact of spreading the universal message of Sikh Dharma through sharing the Sikh teachings with the spiritual seekers in the West, Sant Chanan Singh (president of the SGPC–the governing body of Sikh Temples in India) bestowed on Harbhajan Singh the title of Siri Singh Sahib, whereupon he was given the responsibility to create a Sikh Dharma Ministry in the West by the Akal Takhat (“throne of the timeless one”–the primary seat of Sikh religious authority). This was the first time in history that anyone outside of Amritsar, India, was granted this honor. He was later bestowed with the reverent title Bhai Sahib by the Akal Takhat in 1974. As a holy man and spiritual leader, the Siri Singh Sahib saw the “soul destiny” of each person and gave them an opportunity to fulfill it through serving as an ordained Minister. The spiritual nation he envisioned is what we serve today as Sikh Dharma Ministers. In 1971, when the Siri Singh Sahib was given the responsibility to create a Sikh Dharma Ministry from the Akal Takhat, he created the Ministry of Sikh Dharma on the concept of the Manji system. In the West, we have adopted the word ministry, because it implies a life of service and devotion, but it is important to understand that we don’t share many characteristics with ministers of other faiths. Sikh Dharma Ministers do not live off their congregation; they humbly serve their sangats and communities in a variety of ways while working in the world as professionals and householders. That year, the Siri Singh Sahib ordained 19 male Ministers. 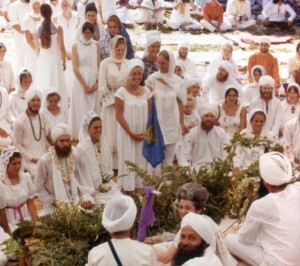 On June 27, 1972, the Siri Singh Sahib ordained a large group of women as Sikh Dharma Ministers at the Summer Solstice gathering in Mendocino, CA. This was the first ever ordination of women in the history of Sikh Dharma. As a holy man and spiritual leader, the Siri Singh Sahib saw the “soul destiny” of each person and gave them an opportunity to fulfill it through serving as an ordained Minister. The spiritual nation he envisioned is what we serve today as Sikh Dharma Ministers. Under the Siri Singh Sahib’s direction, Sikh Dharma was legally incorporated and officially recognized as a religion in the United States in 1971. The Siri Singh Sahib Bhai Sahib Harbhajan Singh Khalsa Yogiji established the Sikh Dharma Ministry to serve the organizational, leadership, and spiritual needs of Sikh Dharma. Today, we are a global Ministry, with Sikh Dharma Ministers serving on seven continents to radiate the presence of the Sikh Gurus and to live our motto: Working in Unity and Purity to Serve Humanity. In service to our mission statement, the Office of the Secretary of Religion supports a global community of Sikh Dharma Ministers. Our Office provides administrative services, educational and outreach programs, Minister Candidate processing, and Sikh Dharma Minister resources. For the past 45 years, the Office of the Secretary of Religion has supported the growth of Sikh Dharma in the West. The Office of the Secretary of Religion is responsible for the administration of the Ministry in co-operation with the Chancellor of the Siri Singh Sahib Corporation. The role of the Office of the Secretary of Religion includes ministering to the Ministry of Sikh Dharma so the Ministry can in turn minister to the Sadh Sangat and the world. Our goal is to offer effective and efficient administrative services for the Sikh Dharma Ministry and to involve Ministers on a geographic and global level by responding to their priorities, concerns, needs, and requests. We work with Ministers around the world so they can serve humanity. The Office of the Secretary of Religion is served by the Secretary of Religion, an Assistant Secretary of Religion, and an Executive Assistant. SS Dr. Sat Kaur Khalsa has served as Secretary of Religion since 1991 and was ordained as a Sikh Dharma Minister in 1975. As Secretary of Religion, Dr. Sat Kaur oversees and is ultimately responsible for the delivery of the functions of this Office. She administrates the New Minister Candidate process for ordaining Sikh Dharma Ministers, supports the development and training of Ministers, publishes a quarterly Sikh Dharma Ministry Newsletter, and works with the other non-profit Dharmic and 3HO organizations to spread the teachings of the Shabad Guru and the technology of Sikh Dharma as taught by the Siri Singh Sahib. Dr. Sat Kaur is a long-time member of the International Khalsa Council and the Khalsa Council Executive Committee. She also serves as a liaison between the Office of the Sikh Dharma Secretary General and the Office of the Bhai Sahiba and is an Officer of the Sikh Dharma International Board. Dr. Sat Kaur maintains a full-time psychotherapy private practice in Santa Monica, California and Santa Fe, New Mexico. She counsels individuals, couples, and families to support their personal and spiritual growth. 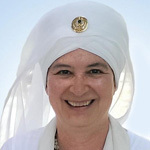 She is a Level 1 certified Kundalini Yoga teacher and a facilitator for White Tantric Yoga, and a published author. 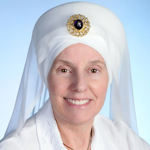 SS Dr. Shanti Shanti Kaur Khalsa was ordained as a Sikh Dharma Minister in 1973 and has served as Assistant Secretary of Religion of Sikh Dharma since 2000 supporting the Office of the Secretary of Religion in building a global grassroots Ministry. She travels and works with Ministers around the world and is a member of the Sikh Dharma Ministry Newsletter team. She is also a member of the International Khalsa Council and an Officer of the Sikh Dharma International Board. By profession she is a Medical Family Therapist with a PhD in Health Psychology. 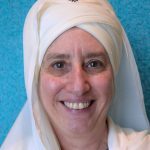 She serves as Executive Director of the Guru Ram Das Center for Medicine & Humanology founded by Yogi Bhajan to bring Kundalini Yoga into healthcare and was trained by him as a Kundalini Yoga Therapist. She is a charter member of the International Association of Yoga Therapists and serves on its Advisory Board. Dr. Khalsa travels the globe to bring the International Kundalini Yoga Therapy Professional Training, an accredited program held in four regions worldwide, to 22 countries. SS Sarb Nam Kaur Khalsa supports the Sikh Dharma Ministry as the Executive Assistant to the Office of the Secretary of Religion, managing the administrative duties of the global Sikh Dharma Ministry. She was ordained as a Sikh Dharma Minister in 2004 and lives in Espanola, New Mexico with her husband, Aradhana Singh, and son, Fateh Singh. 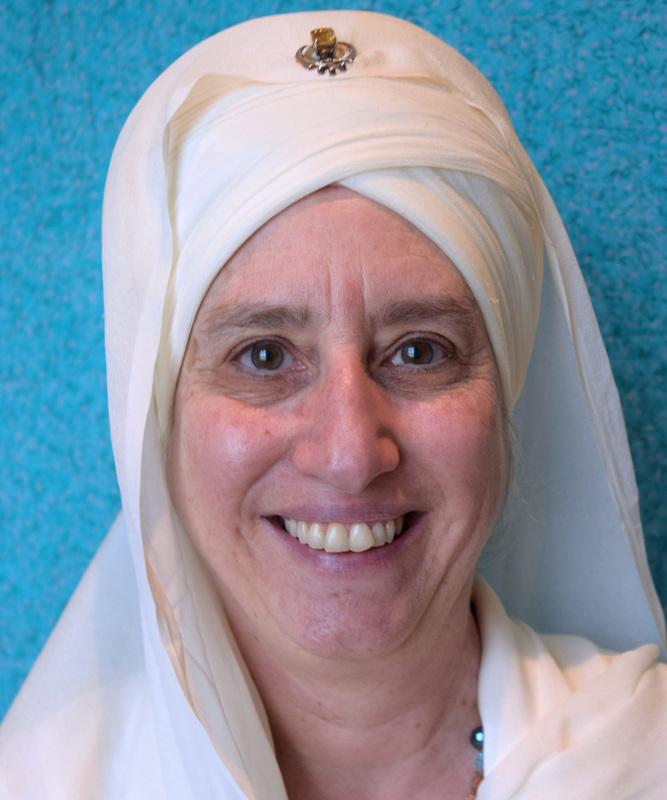 She serves as the Sikh Dharma Ministry Newsletter Editor and Ministry webmaster (www. sdministry.org). Sarb Nam Kaur is a member of the International Khalsa Council and has served as the Khalsa Council Recording Secretary since 2001. She works in her local community as a youth mentor with Big Brothers/Big Sisters and has worked on the ashram security team and served on the staff of the New Mexico State Legislature from 2011-2015.